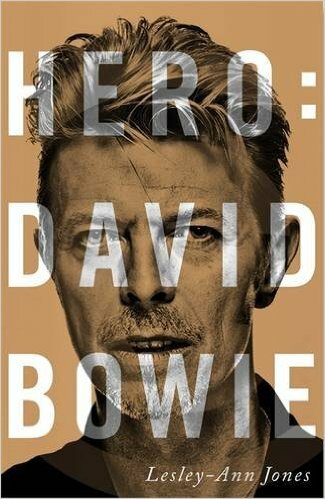 HERO: DAVID BOWIE is an exploration of the man behind the myths and the makeup told from the very beginning. Respected music journalist and biographer Lesley-Ann Jones knew David Jones from the days before fame, when he was a young musician starting out, frustrated by an industry that wouldn’t give him a break and determined to succeed at whatever cost. Here she traces the epic journey of the boy from Bromley born into a troubled background to his place as one of the greatest stars in rock history. Jones has interviewed numerous friends and associates of Bowie, many of whom have never spoken publicly about him before. Drawing on this new material and meticulous research, the real story of Bowie’s family background is told; the true inspiration behind the creation of Ziggy Stardust is revealed, and we learn how his marriage to Angie ended in agony following his comeback from a near fatal drug addiction. Jones also revisits Bowie’s tragic relationship with his brother and his deep bond with T Rex frontman Marc Bolan. Bowie’s rebellious nature, his many sources of inspiration and creativity, and his complex, intense personality are discussed here, creating a unique and compelling portrait of an extraordinary man. This is Bowie as you’ve never seen him before.